Battenfield’s meditative painting process begins with the artist’s close attention to the graceful forms of unfolding leaves and blossoms, and to the twisted boughs and branches of trees. 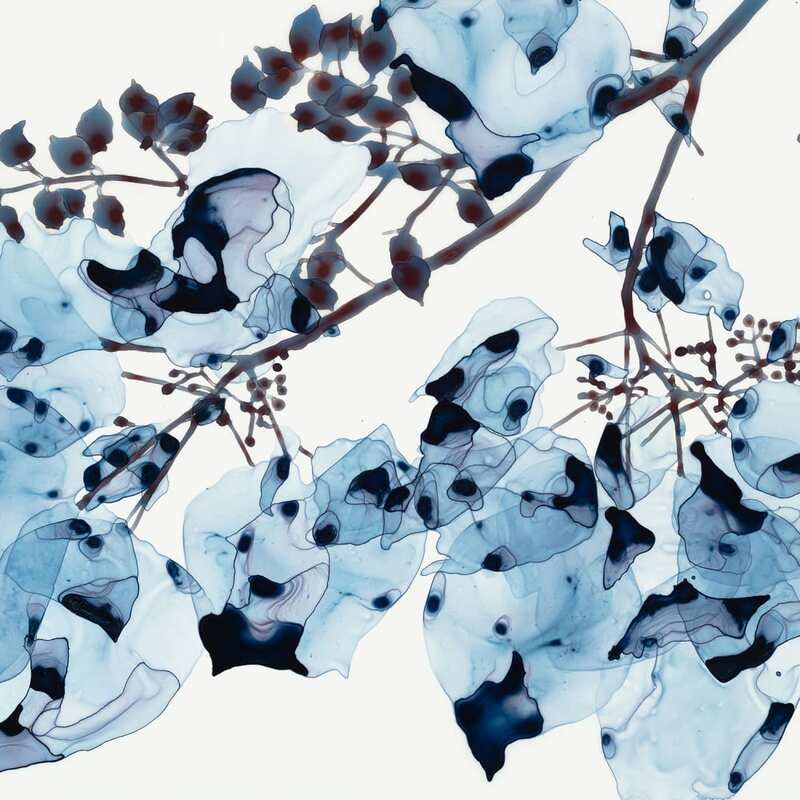 The artist painstakingly translates her photographic studies into drawings on large sheets of translucent Mylar, taking care to stay true to the original images. The artist makes hundreds of color studies before arriving at the palette for each painting. When applied to the Mylar, Battenfield’s ink-like pigments reassert themselves, separating and forming unexpected, distinctive abstract, transparent and opaque patterns. The finished painting on Mylar is mounted on a panel that allows light to play behind the pristine painted surface. Jackie Battenfield earned a BS from Pennsylvania State University, PA and an MFA in Visual Art from Syracuse University, Syracuse, NY. She is the recipient of a Pollock-Krasner Award (1991) and the Warren Tanner Award (1996). Her work is represented in more than 1000 collections worldwide including the New York Public Library, NY, The Zimmerli Art Museum, Rutgers University, Brunswick, NJ, Montclair Art Museum, Montclair, NJ, Palmer Museum, Penn State University, University Park, PA, Museum of Art at the University of Arizona, Tucson, AZ and the United States Embassy Collections, Brazil, Cambodia, Croatia, Jamaica, and Peru. She currently lives in Williamsburg, Brooklyn.